Stevie Wonder - Song Party: A Celebration of Life, Love & Music. 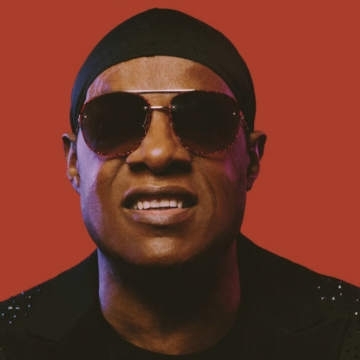 Stevie Wonder is one of the most celebrated and prominent figures in popular music who has amassed 49 Top Forty singles, 32 #1 singles and worldwide sales of over 100 million units. Stevie has won 25 Grammy Awards, the prestigious Grammy Lifetime Achievement Award, a Golden Globe and an Academy Award. As an activist, Stevie also spearheaded the realization of “Martin Luther King Day” as a national holiday in the USA. His participation in the “We Are The World” fundraiser for hunger in Africa was a music industry milestone while his involvement to put an end to apartheid in South Africa is legendary.